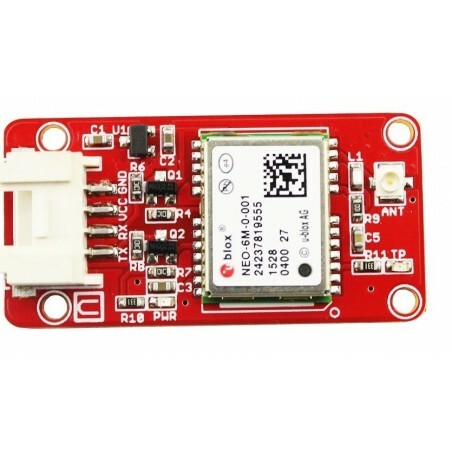 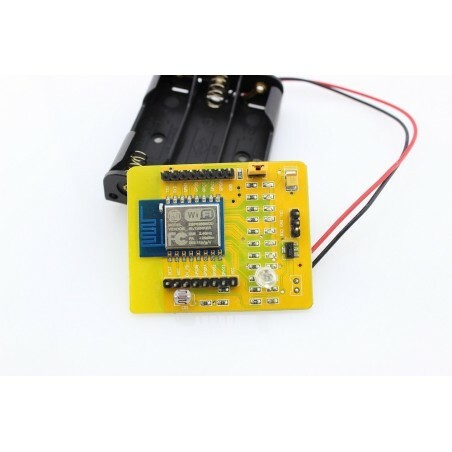 This module ESP32S totally fits for WiFi 802.11b/g/n/e/i and Bluetooth v4.2 BR/EDR & BLE standard, providing a series of solutions of Wifi and Bluetooth to support open real-time operating systems (RTOS). ESP32S also offers an open platform to support users to custom function flexibly in various applications. 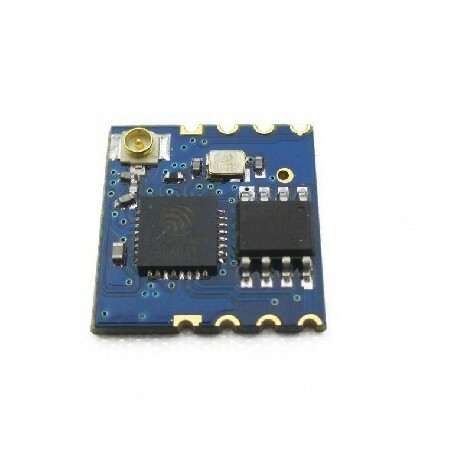 Not only Integrated with abundant Analog sensing and digital interfaces, ESP32S but also integrates the complete launch/receive radio frequency functions including antenna switch, radio frequency, power amplifier, low noise amplifier, filter, power management module and advanced self calibration circuit. 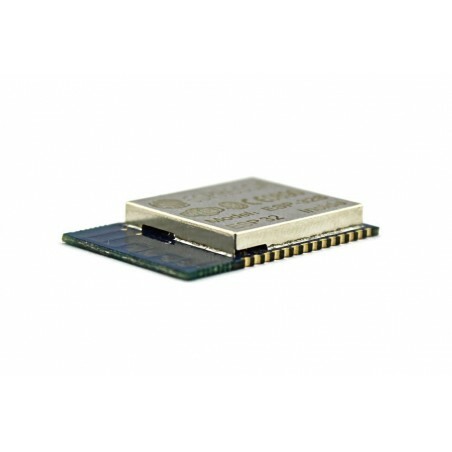 Specifically this module carries two 32-LX6 CPUS, whose dominant frequency is high up to 240MHz with 7-degreed pipeline architecture. 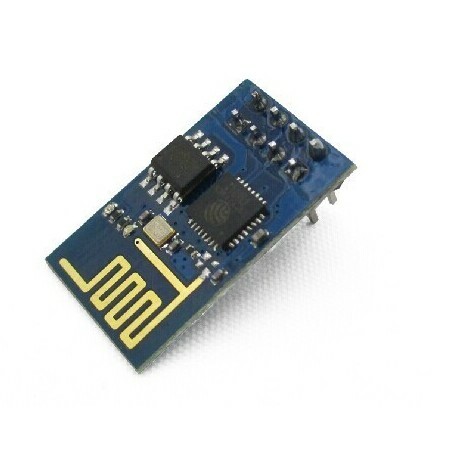 And the ESP32 is capable of functioning reliably in industrial environments with an operating temperature range of -40°C to +125°C. 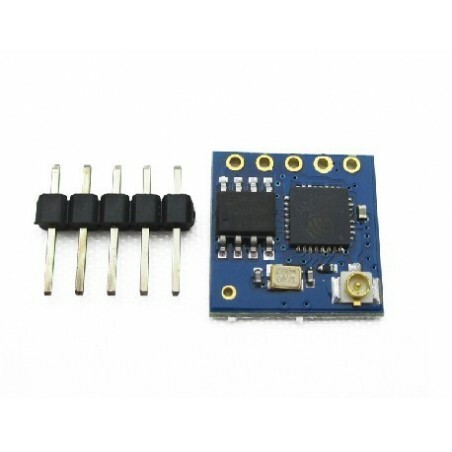 Powered by advanced calibration circuitries, ESP32 can dynamically adjust itself to remove external circuit imperfections or adapt to changes in external conditions. 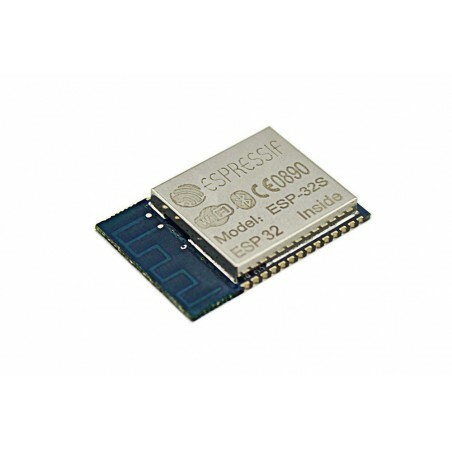 The integrated adapted caching of ESP32S module is good to improve the system function and optimize the system storage. 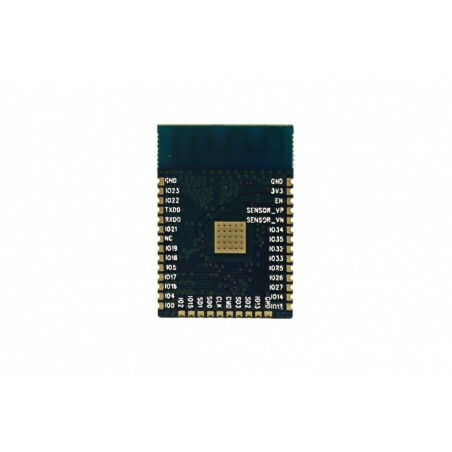 Also the flexible RAM/ROM divides the structure which only allows users to custom for their unique demands and using situations. 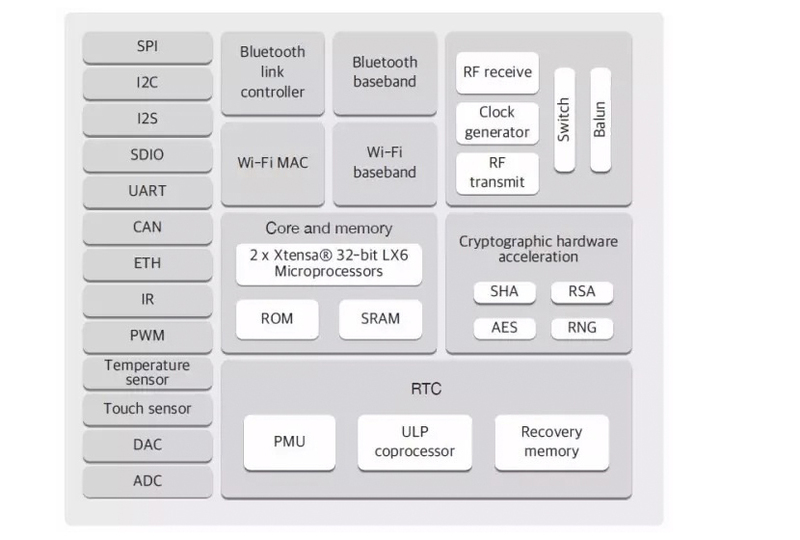 But beneficially whether ESP32Sacts as a stand-alone utility or mainframe MCU slave unit, it all shows perfect all-rounded functions. 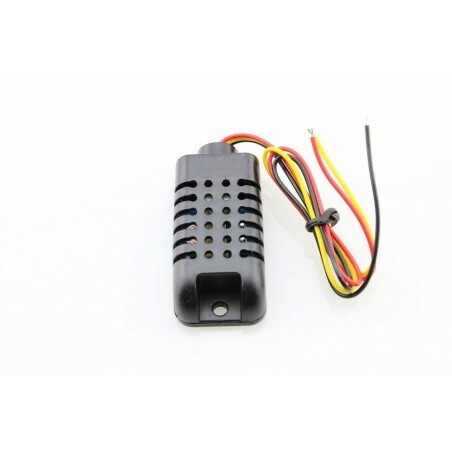 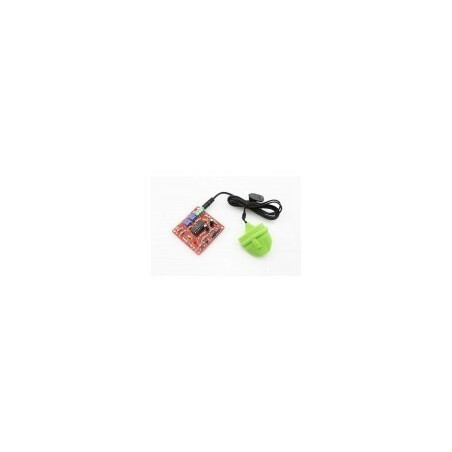 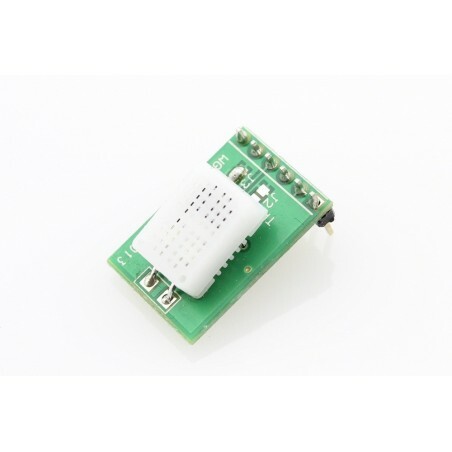 As a slave unit, ESP32S provides WiFi and WiFi-BT-BLE MCU functions through SPI/SDIO or I2C/UART interface with PCB antenna which is easy to operate, powerful and of wide applications. 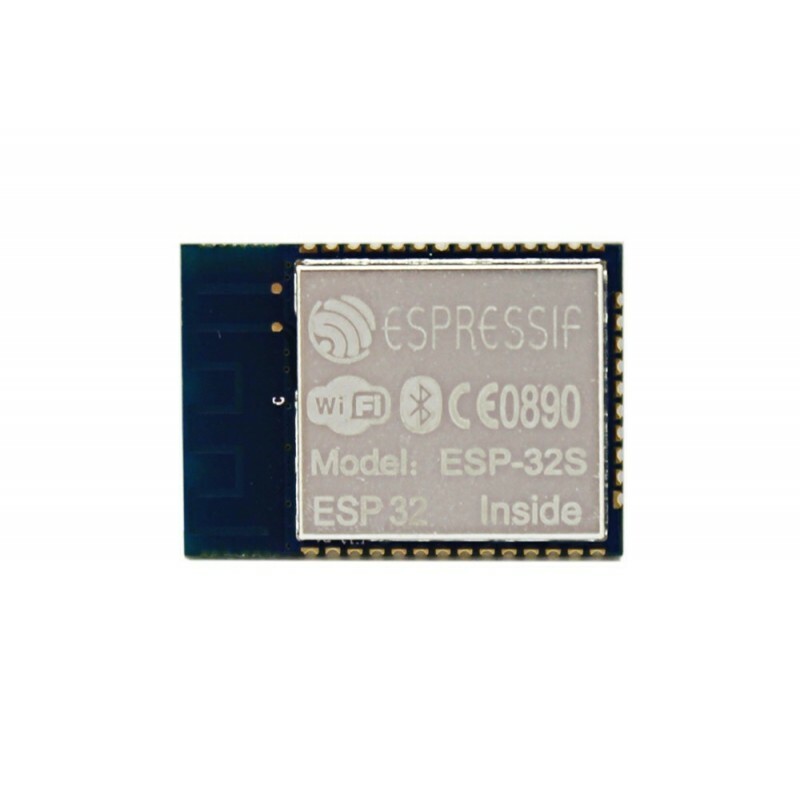 On the other hand, this ESP32S chip is designed for low cost ,mobile electrical devices, wearable IOT devices professionally which integrates all functions of 2.4 GHz WLAN and Bluetooth dual mode single chip scheme. 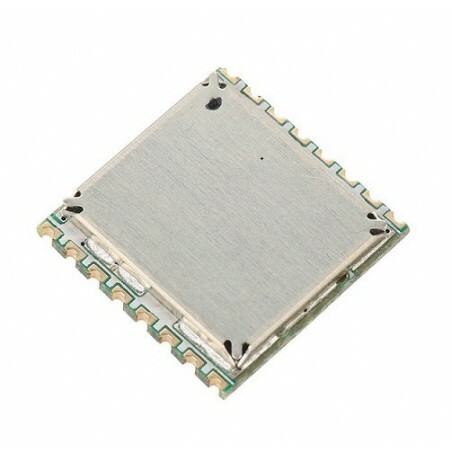 Besides it adopts TSMC low-cost 40nano crafts，shares optimal power consumption performance、RF performance、stability、universality and reliability, satisfying for all kinds of applications and different demand of power consumption. As an advanced low-cost chip in the industry, ESP32S features with fine resolution clock gating,saving electricity mode and dynamic voltage regulation. 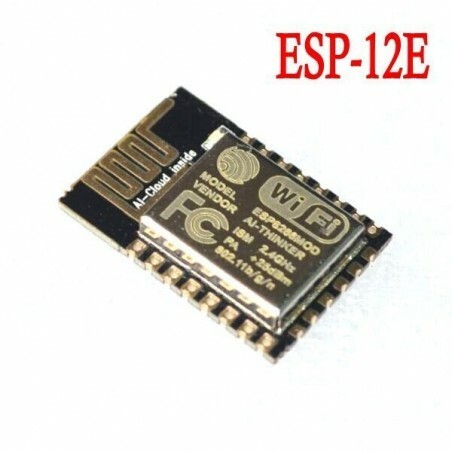 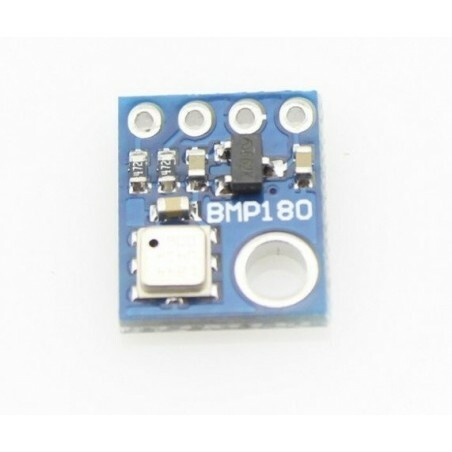 For example, when it is applied to IoT sensor Hub, this ESP32S module can only be waken up periodically on certain terms. 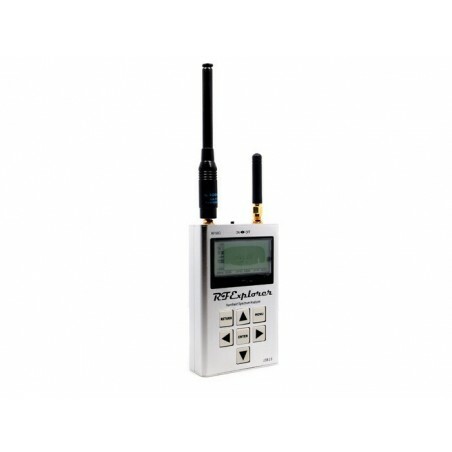 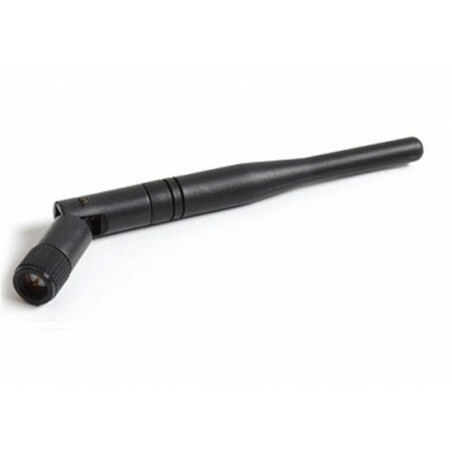 Definately the output of radio-frequency power amplifier can also be adjusted to realize the optimal balance among correspondence distance, data efficiency and power consumption. 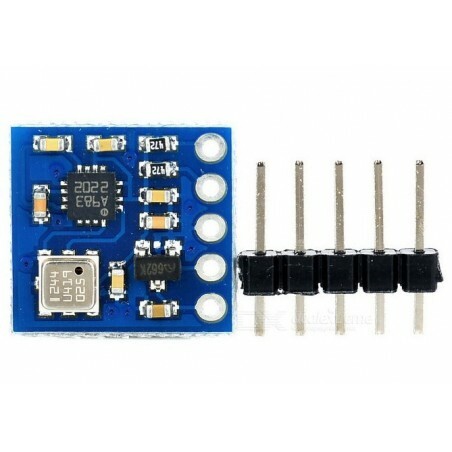 · Peripherals – Capacitive touch, ADCs, DACs, I2C. 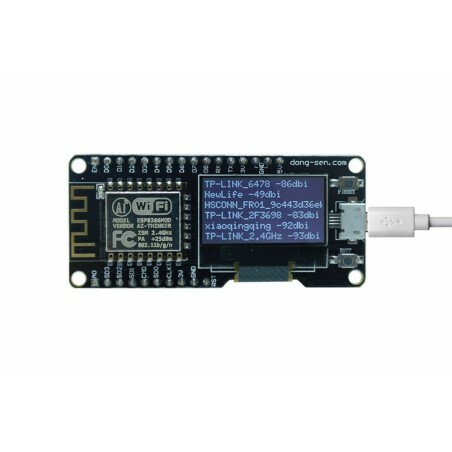 UART, SPI, SDIO, I2S, RMII, PMW, etc… but no USB. 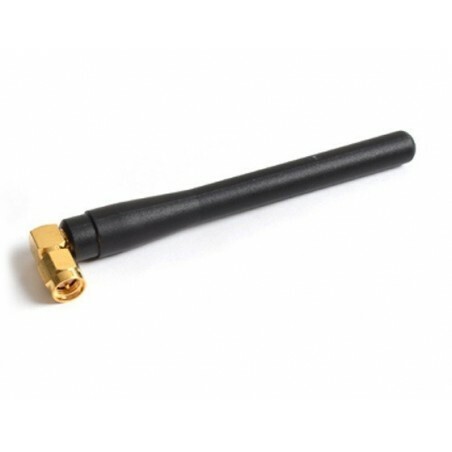 · Security – Hardware accelerated AES and SSL, and more undisclosed improvements. 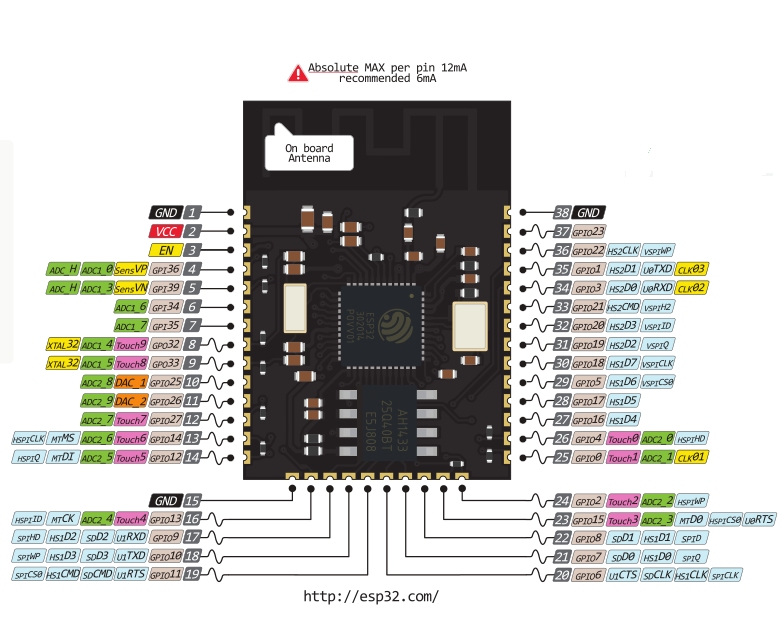 · Simplified APIs – Not many details provided here, except WiFi APIs will be simplified, yet keep good flexibility and control. 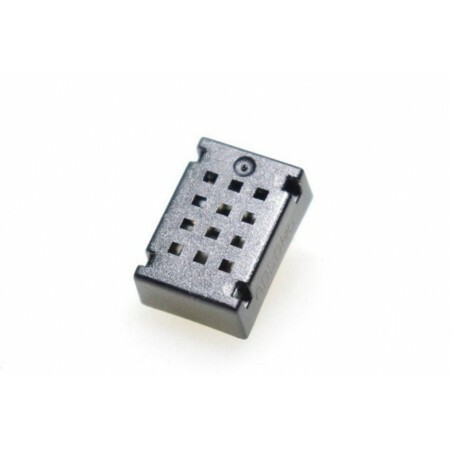 Size: 16mm x 24mm x 3mm. 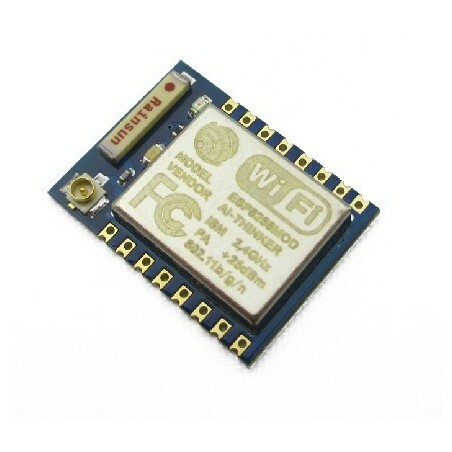 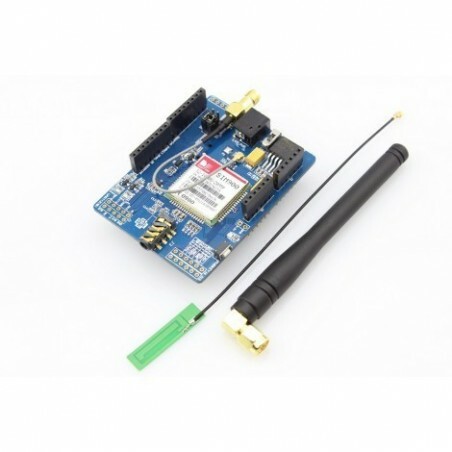 Low Price ESP-12E ESP8266 Serial Wi-Fi Wireless Transceiver Module for Arduino / RPi Built-in Antenna. 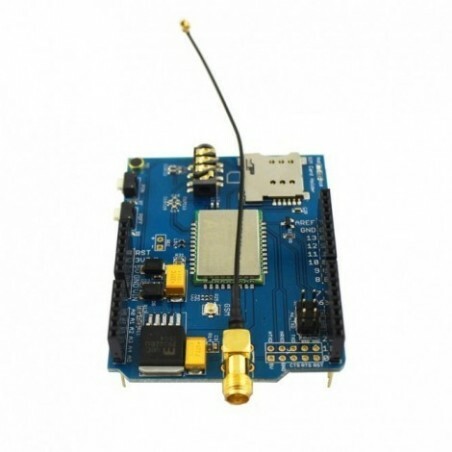 it's for Arduino,Raspberry Pi , AVR and widely used in networking, smart home,wifi router.